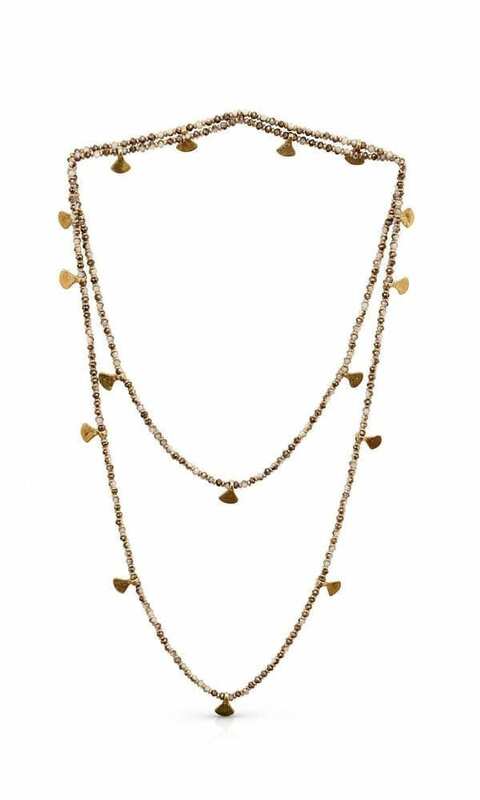 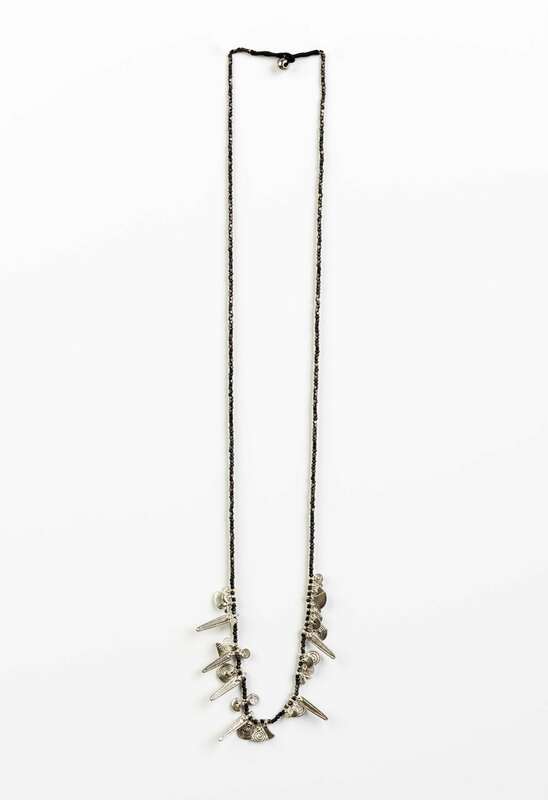 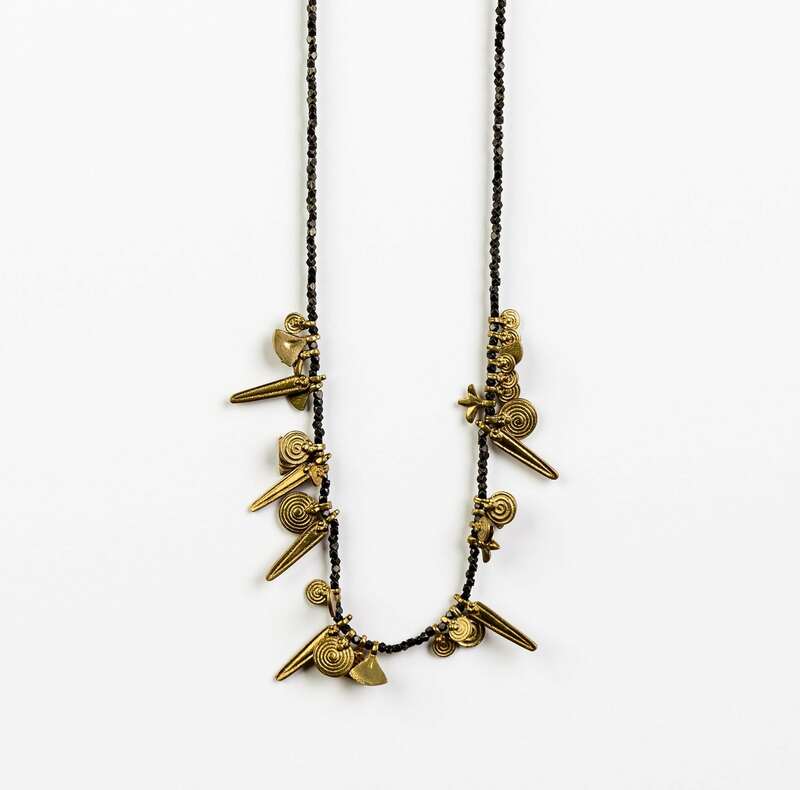 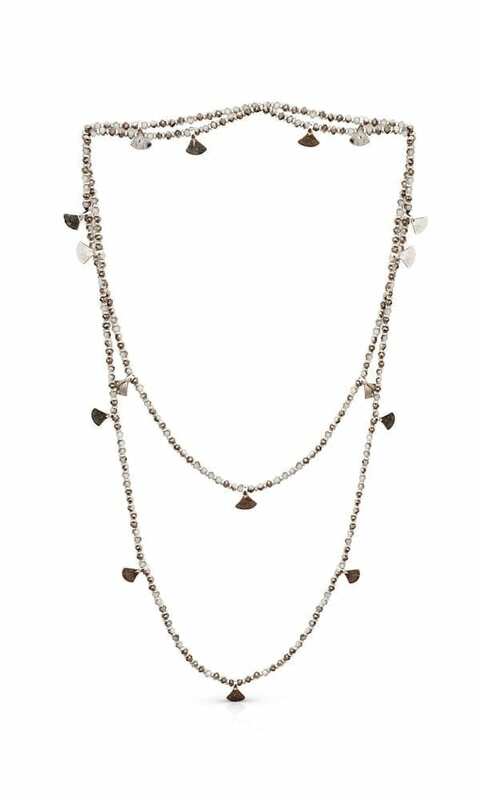 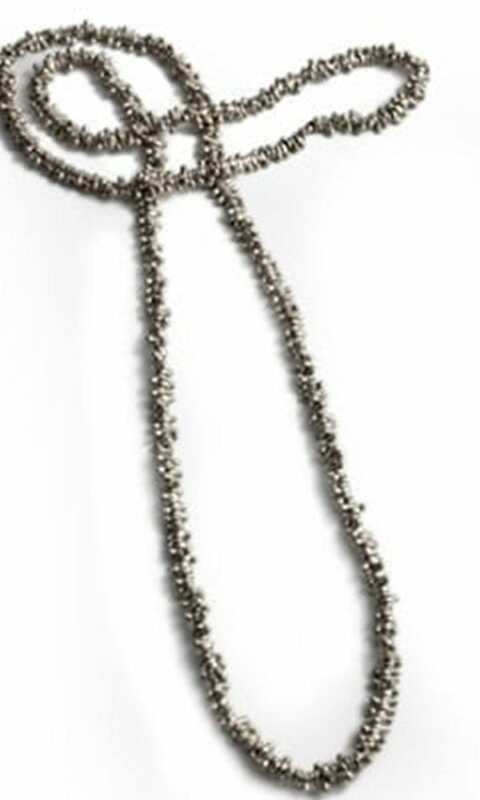 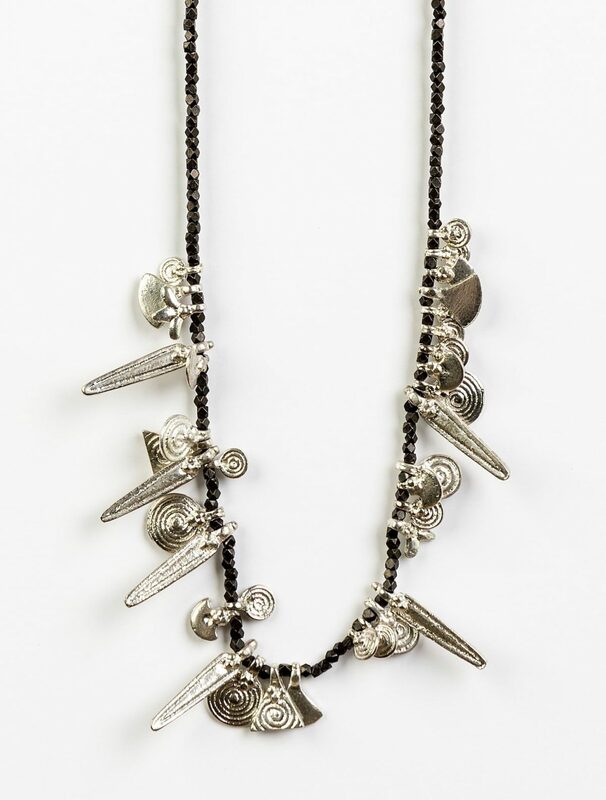 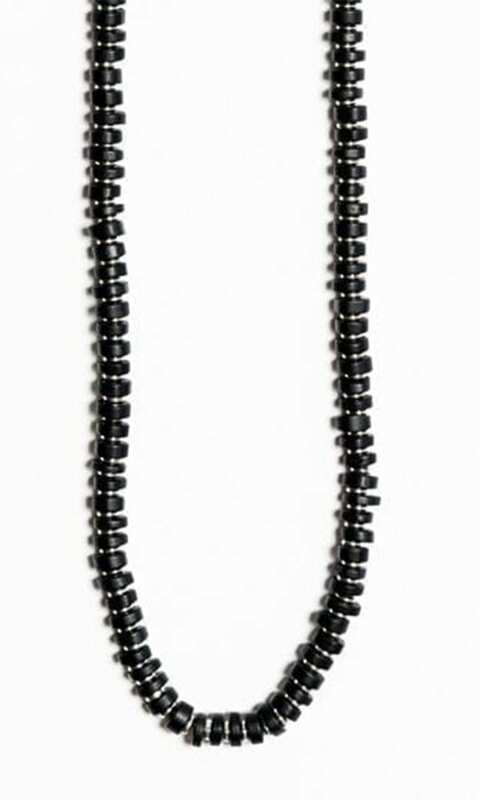 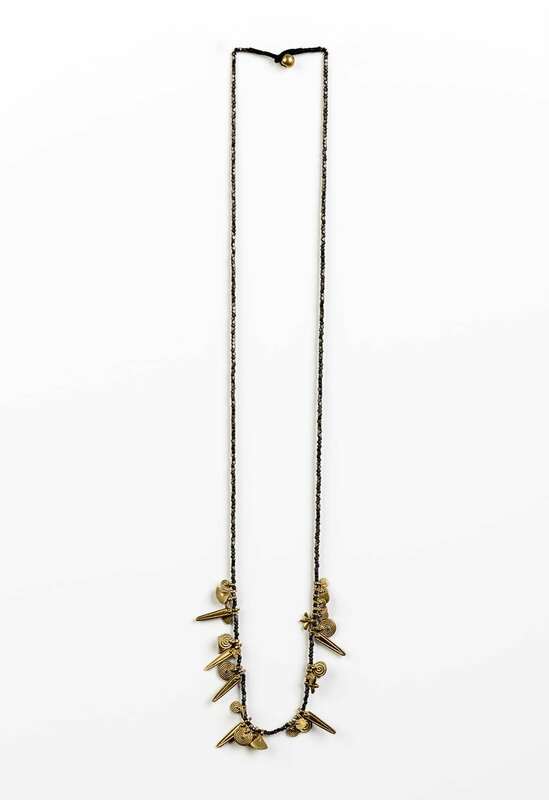 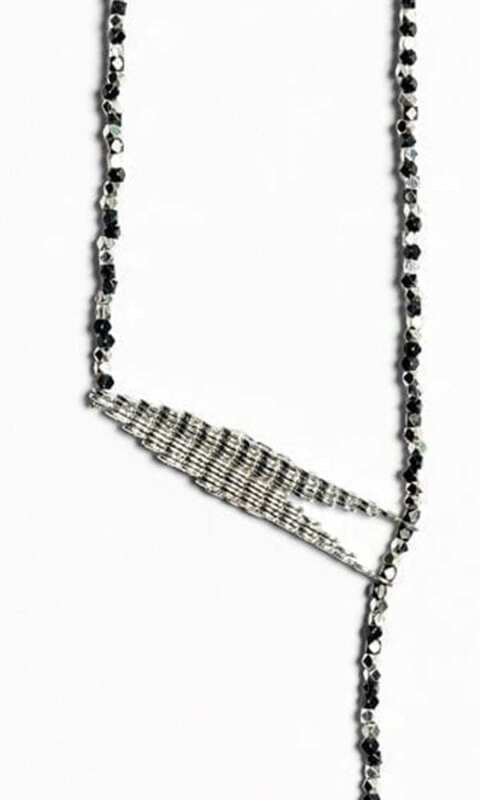 The Moni Necklace is a modern tribal-style necklace. 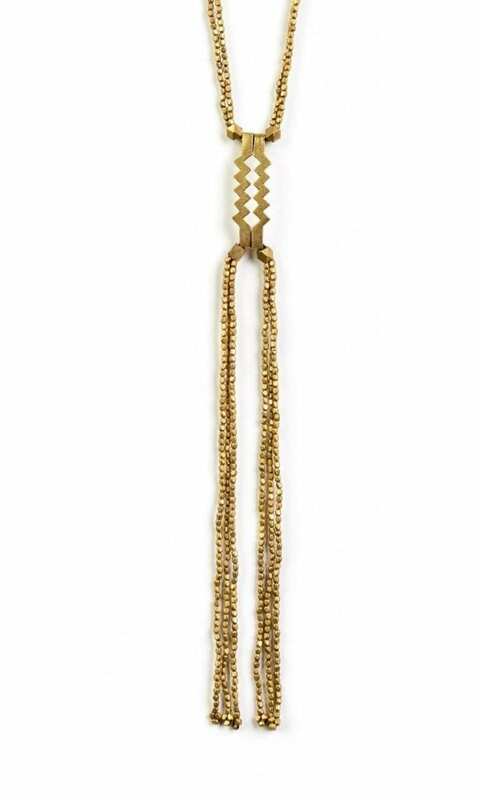 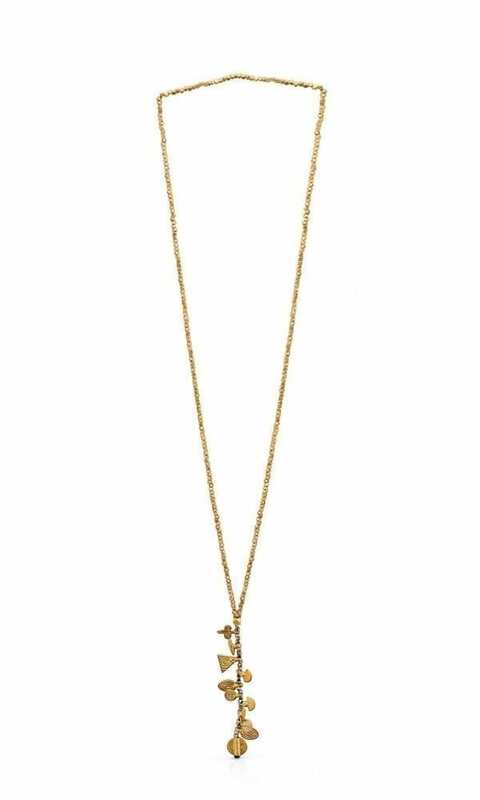 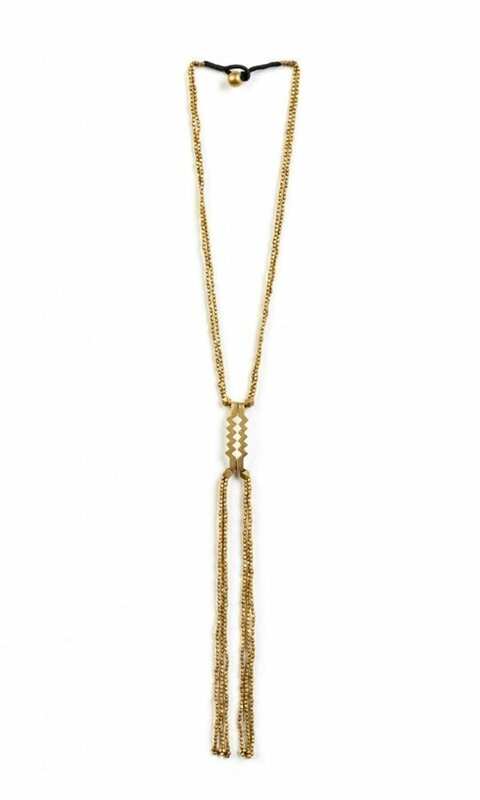 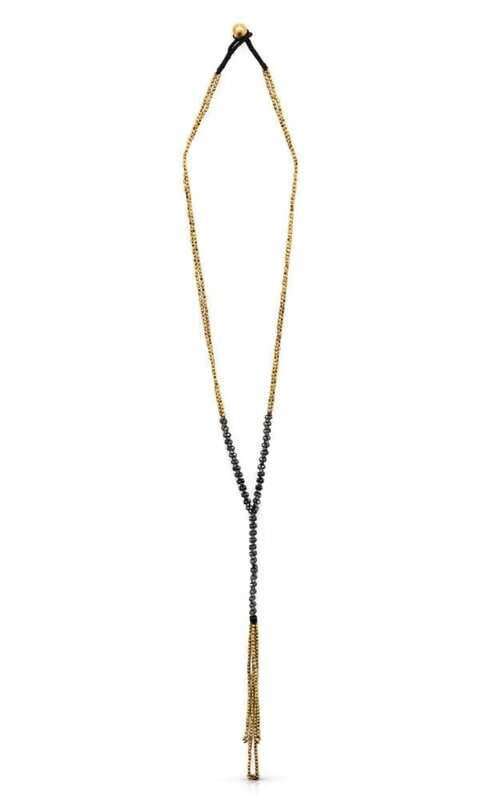 A mix of circle and arrow pendants hang on a long brass bead chain, creating an elegant combination of urban and ethnic style. 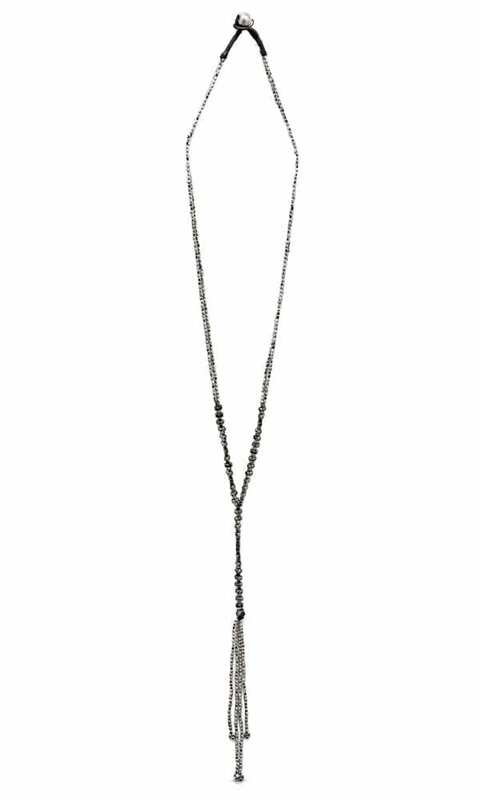 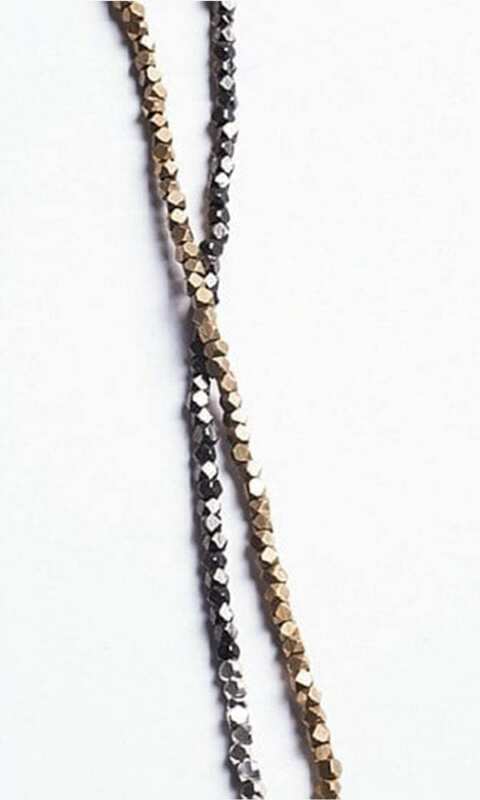 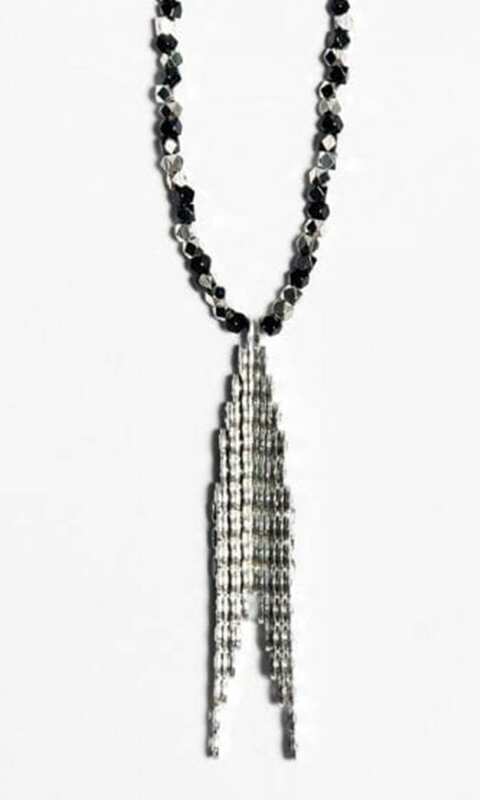 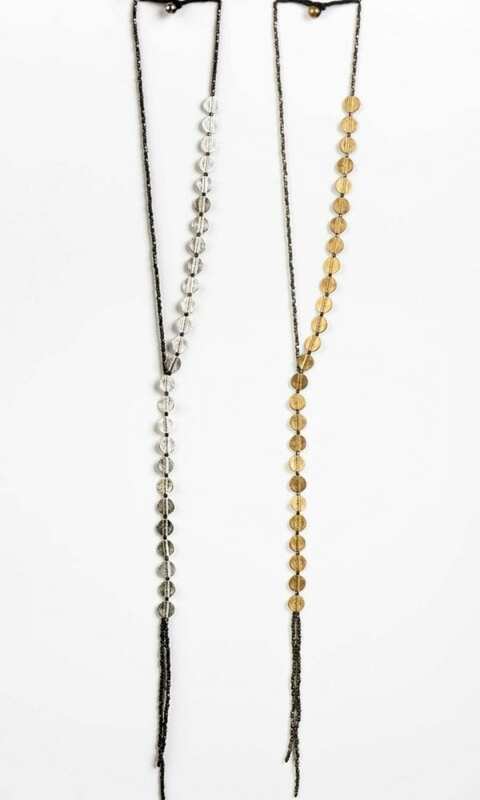 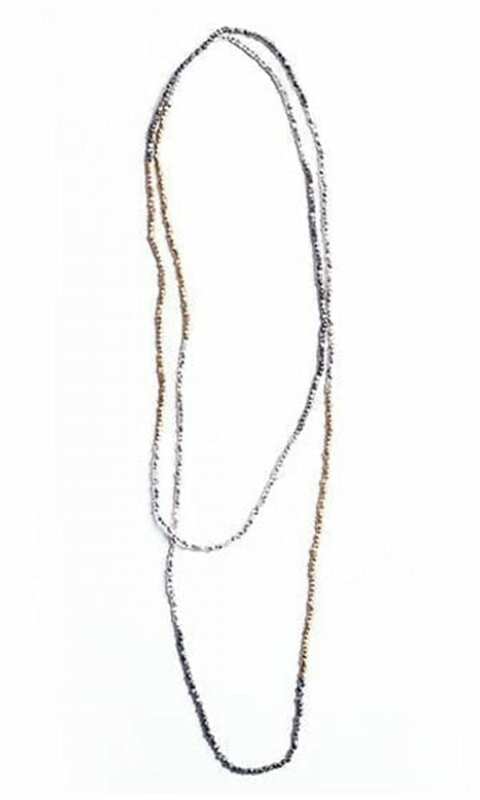 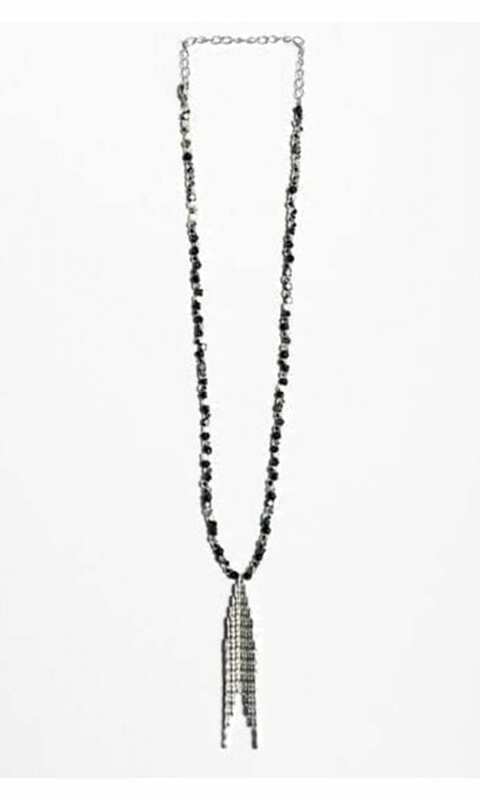 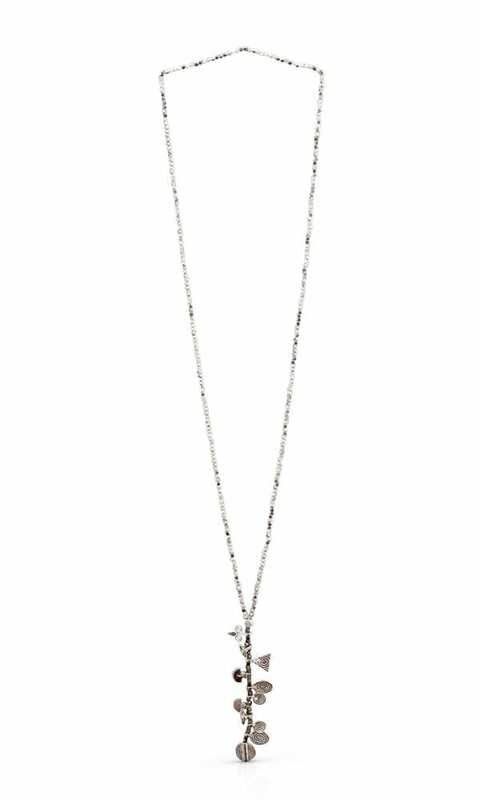 The Moni Necklace is available in two color combinations: black and gold-tone, black and silver plated.